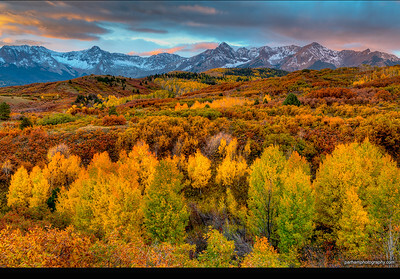 SJ-16746-50 Autumn sunrise on Dallas Divide west of Ridgway. 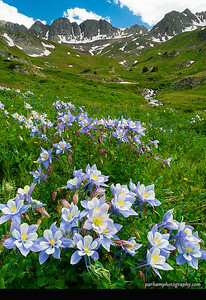 (SJ-16134-5) Blue Columbine grow prolifically in American Basin, near Cinnamon Pass. 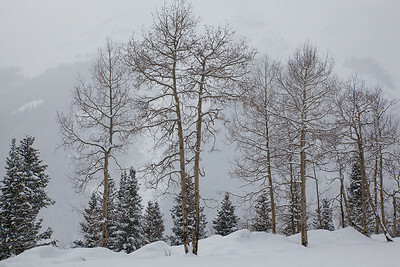 (SJ-11035) Aspens during snowstorm on Red Mountain Pass - San Juan Mtns. 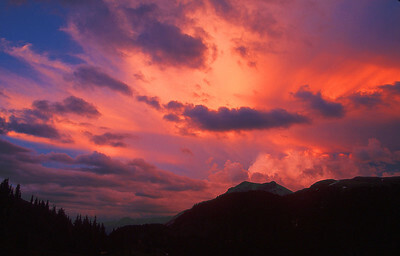 (E006) Sunset from Lower Porphyry Gulch. 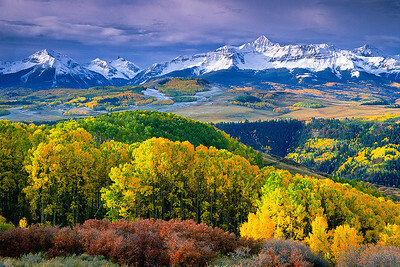 (I070) "Autumn in the Rockies" - San Miguel Range near Telluride. 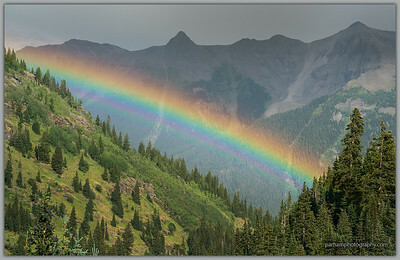 This is a personal favorite and perhaps my best selling photo. The superb light from the slightly overcast conditions on the morning I took this photo provided super-saturated colors in the aspen and oak. The fresh snow on Wilson Peak added to the drama. (NG-11089) Sunset reflection of Snowden Peak in pond of lillypads on Molas Divide. 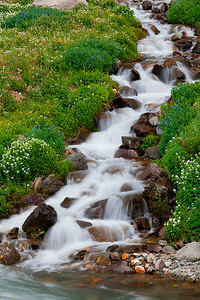 (IMG-8982) Cascades pouring into headwaters of the Animas River. 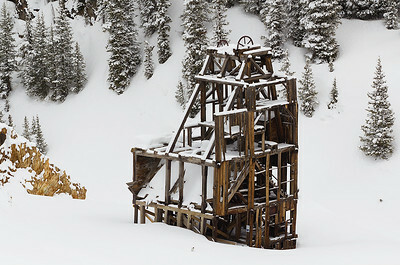 (SJ-11056) Gold mining relic on Red Mountain Pass. This is one of my favorite partially remaining structures from the late 1800s to the early 1900s mining era in the San Juans. 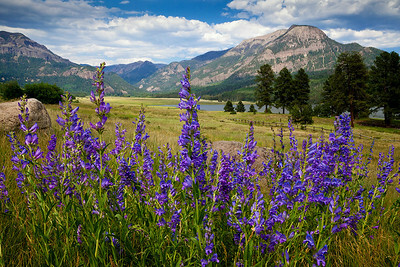 (SJ-11200) Rocky Mountain Penstemon near Williams Creek Reservoir. 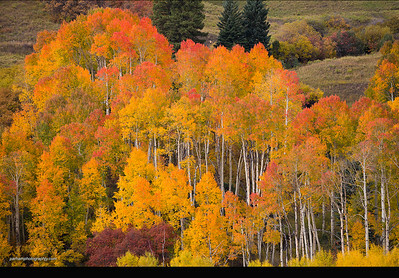 (B037) Autumn aspen ablaze with color in San Juan National Forest. 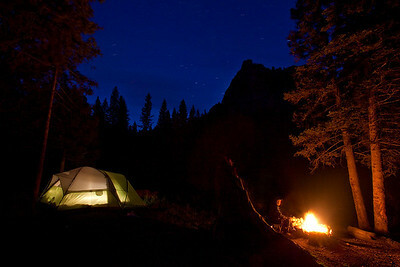 (Sj-10304) Self portrait - sitting by the campfire beneath the stars on an August night in the high country near Owl Creek Pass. 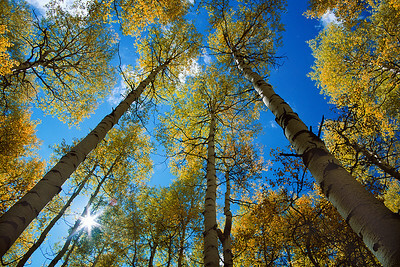 (B035) Sunlight through aspens; Uncompahgre National Forest. 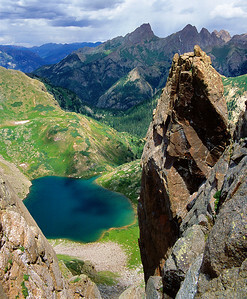 (NG-0512) Pigeon and Turret Peaks form the distant skyline beyond Ruby Lake; seen from Mountain View Crest in the Weminuche Wilderness. 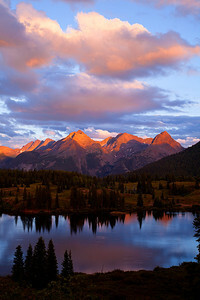 (MG-9255) Molas Lake and the Grenadier Range at sunset. 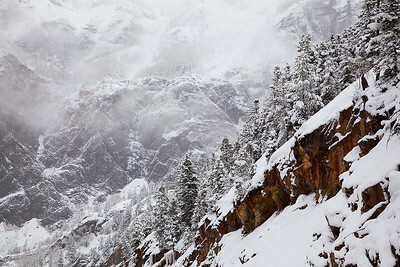 (SJ-11020) Clearing snowstorm above Ouray.